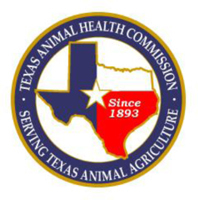 (Austin, Texas - May 27, 2011) - The Texas Animal Health Commission (TAHC) has one confirmed case of the neurologic form of EHV-1 to report today. Preliminary investigation indicates no connection to the Ogden, Utah NCHA event. A Quarter Horse racehorse stabled in Ector County, TX displayed neurologic symptoms consistent with the disease, and ultimately tested positive for EHV-1. All horses on the premises are under quarantine and will be managed according to USDA recommendations for confirmed cases. Additional information is being gathered to determine if any other horses were exposed. Regarding the Ogden, UT event, there are currently 12 known horses in Texas that attended the event and 174 cohorts (stablemates) remaining under movement restrictions. There are now a total of 8 premises that have been exposed and those premises are in the following counties: Randall, Parker, Jack, Kerr and Mills counties. Horse owners should contact event organizers in advance to ensure that scheduled events have not been cancelled. Some other states have established emergency rules for entry as a result of this situation. A list of contact information for all 50 state animal health agencies can be found on the U.S. Animal Association website at http://www.usaha.org/Reference/FederalStateAnimalHealth.aspx or on the USDA website at http://www.aphis.usda.gov/import_export/animals/animal_import/animal_imports_states.shtml. The May 26 EHV-1 nationwide situation reported compiled by USDA can be viewed at http://www.aphis.usda.gov/vs/nahss/equine/ehv/ehv_2011_sitrep_052611.pdf USDA's report shows cumulative data submitted from all involved states. TAHC's daily updates report the current in-state data. For information regarding EHV-1, visit www.tahc.state.tx.us. You can also keep up with EHV-1 information through our Facebook (www.facebook.com/TexasAHC) and Twitter (www.twitter.com/TAHC) sites.